Beagle Languages is a modern educational center that is dedicated to quality English teaching while focusing on the preparation for official examinations. 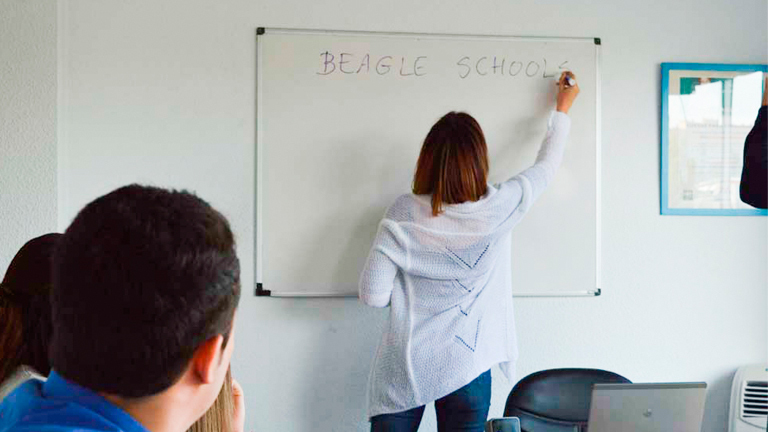 Beagle Languages has up-to-date installations and uses the latest materials along with offering teacher training and guidance throughout the course. Our groups are limited to around ten students each. Our rooms have computers, projectors, internet connection and all materials are supplied for the teachers. We follow all official school holidays. We offer competitive salaries and conditions. We are looking for teachers who have experience in language education and are able to offer dynamic classes at all levels. A working knowledge of European level requirements is a plus. We want practical classes which the students enjoy and find that they are learning and advancing towards the goals set by them and the center. Our teachers should be willing to adapt the classes to the needs of the students and be flexible and able to plan interesting lessons using a wide variety of methods.